The modern slimline shape tank is designed with smaller properties and limited space in mind. We use Colorbond Aquaplate steel reinforced with internal stainless steel bracing to deliver a peace-of-mind product. Customisable tank dimensions means we can make a slimline tank to suit almost any project – whether commercial, domestic or industrial. That includes basement carparks, under a staircase or in a tight space on the boundary of your property. Our range of Slimline Tanks are available in the traditional round end style, or the modern square-end rectangular style. 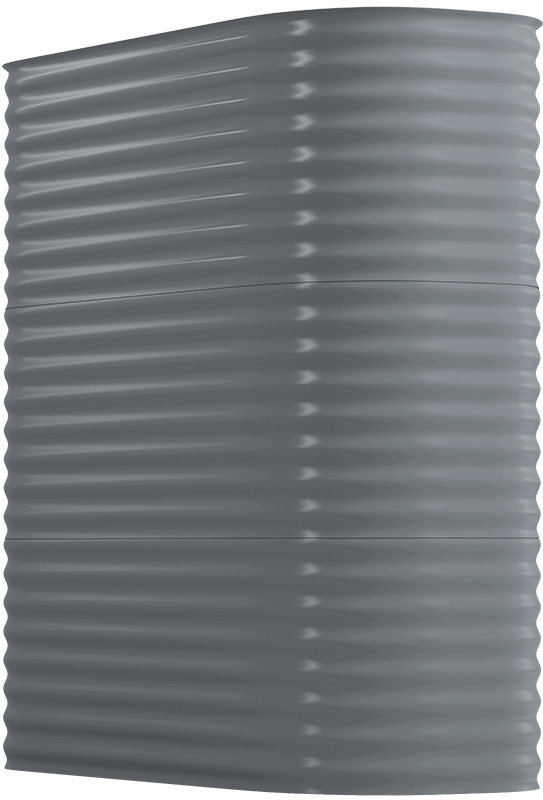 Our rectangular style Waterline Squared tanks allow for large bore connections on all sides of the tank giving flexibility in system design where banks of these are coupled together. This gives a high capacity of storage within a very narrow footprint. Simply leave your contact details below with your question and we'll call you back to you as soon as possible. What’s included with your tank? Options include threaded, PVC or Roll groove outlets from 20 to 300mm. Taps available to suit. Range of CFA Couplings, Storz fittings, vortex inhibitors and Fire Hydrant Tank accessories to suit CFA, BAL rating or Fire Service requirements. Any size orifice to comply with your stormwater detention/retention requirements. Pump Kits - including mains changeover kits for toilet/laundry use, water filters for any application, tank water level indicators, float valves and first-flush devices. Usually either through the roof of the tank with a mozzie proof inlet strainer or through the side wall with a PVC spigot. Options include PVC or HDPE from 50-300mm. Simply leave your contact details below with your question and we'll get back to you as soon as possible.